The Howard Astronomical League Observatory. Officially opened last night at Alpha Ridge. 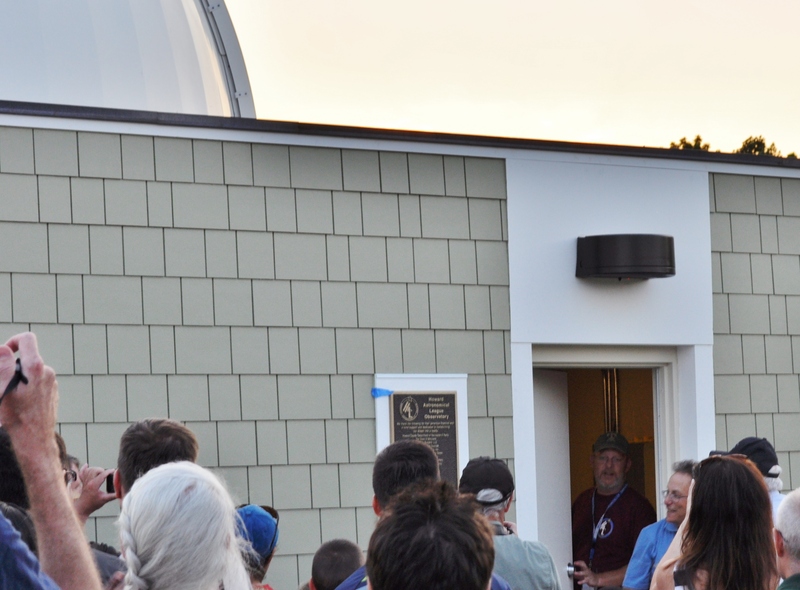 The long awaited observatory that Joel Goodman has been talking about at every opportunity we see him, finally is done and open. It was a lovely night. 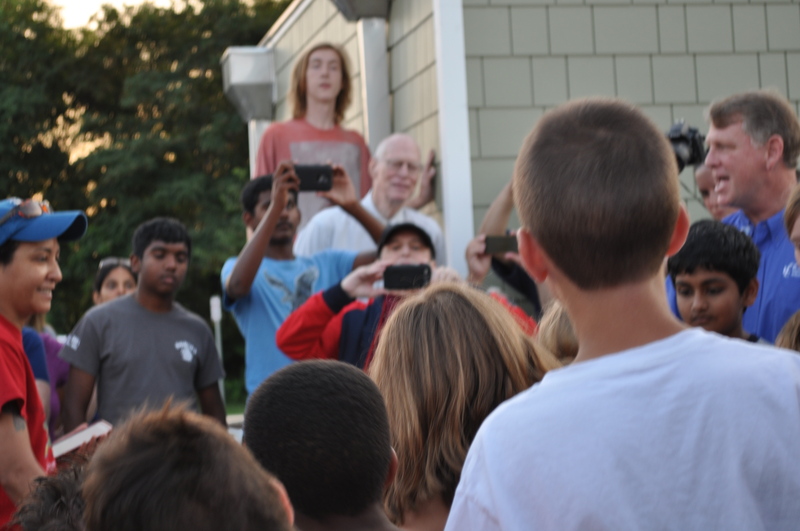 Many, many people of all ages came out for the ribbon cutting followed by tours followed by a star party. I love going out there for any reason. I also enjoy every event that “HAL” puts on. 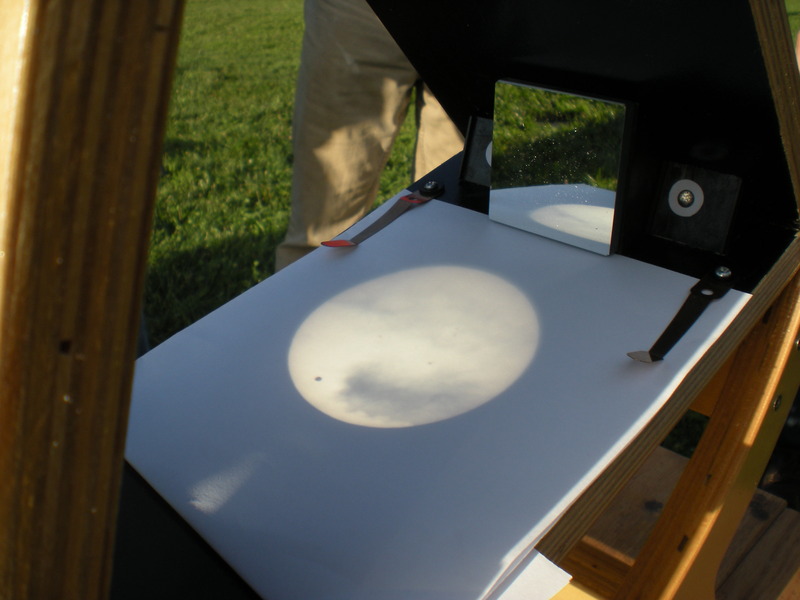 Like the transit of Venus a few years back, at the Conservancy. Where hundreds (we think 500-600 based just on the cars) came out to watch the last transit for 104 years. The sheer volume of people interested in watching the heavens is to me a sign that we in this area really do love science and nature and discovery. Yes, I know, a run on sentence. But, it does feel like we seek opportunities to learn more, and see more. There were many speeches last night. Lots of people who made this happen. Still, I love to see the children get into it. My vantage point didn’t let you see the children doing the ribbon cutting. Not the adults. Not the politicians. The children. Thanks, Star Doc, for your vision. For your leadership. For helping us out at the Conservancy in setting up our “star parties”, like the upcoming Perseids meteor event on August 12th. For all us night owls. 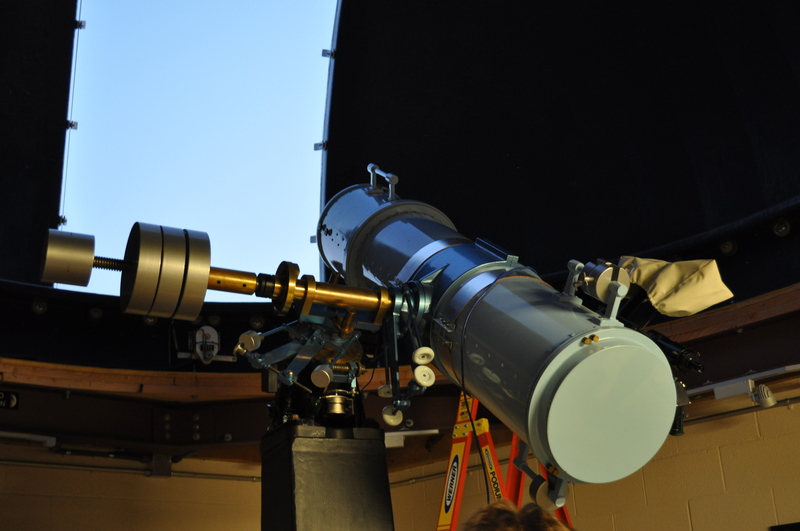 For those looking for the HAL star parties in the new observatory, the next one is August 22nd. Check out the HAL web page for details. Come on in. The viewing is awesome. Posted in Community, Hobbies, Howard County, West HoCo and tagged astronomy, community, hobbies, hoco loco, Howard County, photography, West HoCo. Bookmark the permalink.